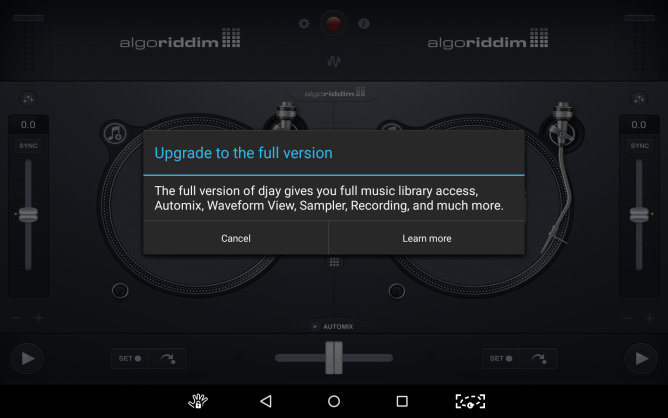 So you want to spin some virtual turntables, but you don't have five bucks for djay 2? 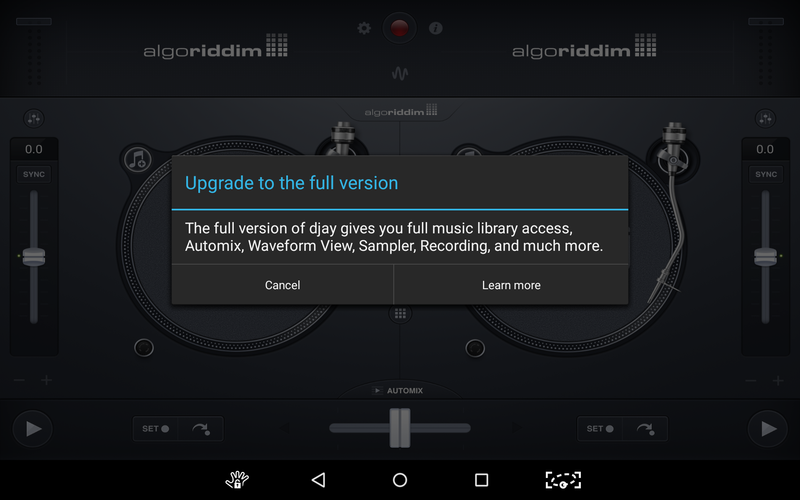 No problem, there's a free version of the app now courtesy of Algoriddim. You won't get all the goodies available in the full version, but it's a good way to try the app out and see if you're any good at it. 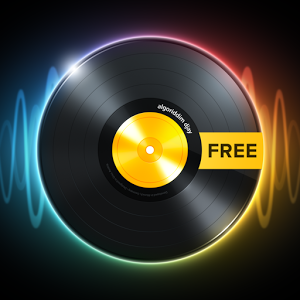 The free version lets you add tracks to the twin virtual turntables and create mixes. If you've got a Spotify account, those tracks can be pulled into djay 2 as well. All of the basic stuff is available here, but some of the cooler features like auto-mix, waveform view, and recording are restricted to the paid app. There is no in-app purchase mechanism at work here—if you try to activate a premium feature, you are simply routed to the Google Play listing for the full app. If you like what the free version offers, the paid one is well worth it.